Ours is a distinct privilege to think through foundational truths for a few minutes. A word is in order lest you look for a textual study of Scripture or possibly Ellen G. White quotations. All of us are quite familiar with these. This is a time for worship, not analysis. It is an occasion for looking past the unquestioned value of technical studies into the beyond, for the scope of education, especially Christian education, stretches across a vast plane of thought, intellectual and spiritual, where our path toward heaven sometimes leads us through thorns and thistles. We dare not underestimate the importance of this journey, for its consequences will impact millions. Christian education is nothing new to Seventh-day Adventists. As an introduction, look at our masterfully crafted document titled “A Statement of Seventh-day Adventist Educational Philosophy,”1 a vision of our goals. This document is worthy of thoughtful examination, for it clarifies objectives, and to a degree methods, that will be useful to us in this Heaven-sent assignment. But let us begin our pilgrimage with what we acknowledge as inevitable truths that underlie all else, truths that the Latins described as sine qua non. It focuses on the divine element of our worship. We look first to God, especially as He reveals Himself in the Scriptures, but even further in our contact with His works. We marvel at His immeasurable power and wisdom, stretching far beyond our feeble ability to understand these things to the full. Here He is above us, Creator of all things, Maker of a universe of majestic proportions, where in space He hangs millions of heavenly bodies, fixed or rotating, sustaining them moment by moment in courses of His design. Such complexity lies beyond our imagination but, by special revelation, God traces in great detail His profound concern for our tiny planet. He has personally placed us here as humans made in His image, originally perfect in form and living in a perfect environment. Here is the Almighty One, the Eternal Father, Son, and Spirit functioning in matchless harmony, bent on rescuing us from the eternal loss that befell us. God is the source of all understanding and of life itself, Lord of space, time, and all sensory encounter. It is He who initiates our education by revealing His nature and intention for us. And it is our privilege to represent our Creator not only as a Being of power, but also filled with love, compassion, grace, and indeed all things to our benefit. Christian education extols God with all His works. Beyond all this, we marvel as we consider His incredible intimacy with us and personal affection toward each of us. With all the universe under His command, how can this be possible? He guides us, calls us toward His righteousness, listens to our prayers, is at our side in every joyful moment or disappointment we encounter. Can we imagine better news than this and the privilege of sharing it in every contact with others? To introduce this to our companions and students is the pinnacle of privilege. But this pristine picture is not all. The Scriptures describe something unthinkable but true: revolt in heaven. All of us know the story. Into the Lord’s paradise Lucifer introduced cosmic conflict. This brought to all of us the infection of sin, with its terminus in death. How would the Lord deal with this? Our parents, blessed with the ability to make choices, fell to deception in the very Garden of Eden, spreading evil through the human family. God’s perfect character was distorted and misrepresented entirely. Heaven’s response: Father and Son in consultation would make the unthinkable decision. As Jesus told us, He was sent by the Father to take human flesh, reveal the character of God in a manner all could see, participate in the human experience, and conclude the issue by taking to the Cross the terminal event of sin. There He erased the scheme of Lucifer and provided eternal life, a gift to all who sincerely believe. The appeal from Christ is to serve Him with our hearts, for His is the only way to life eternal. The Bible traces the sorry story of this planet, a mixture of good and evil, and a sorry mess it is. Into this matrix the heavenly Father sends us to lead His children to the outworking of His plan. Humanity, described symbolically in the Scripture as the product of God’s fingers, makes its decisions in a spoiled environment and must understand what is involved, and this calls for a Christian education, one that addresses the practical elements of living as well as how we should respond to God. This becomes the goal of Adventist education. Ideal education opens every option to examination and interpretation, where it becomes the guide to making choices. Secular education will make all this the product of accident and survival of the fittest, the very existence of all things attributed to a massive random explosion in unmeasured antiquity. The biblical picture is vastly different, and this imposes a huge responsibility on Adventist education, not simply in organized institutions, but also from the beginning of cognition, starting with mother’s caress and father’s knee. There true education reaches for the truth of our past, an understanding of the present in which we dwell, and our destiny. 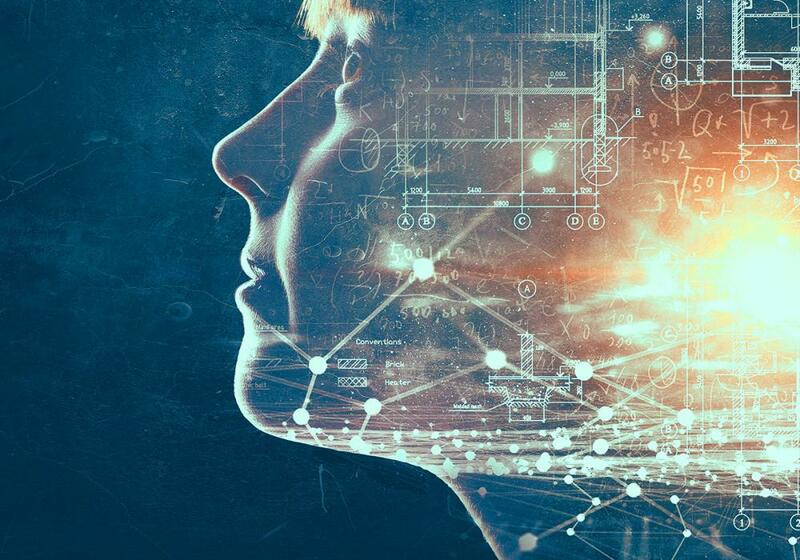 True education includes everything we can know about ourselves, our world, and the consequences that follow from our choices, correctly envisioned. It is a ministry of vital importance, spanning worship, judgment, and discovery in the laboratories of experience. As we have seen, the fullest revelation of God came when the Son took on the garb of humanity and in our own setting taught us valuable lessons and challenged us to search the depth of the divine message. All this is teaching. How could the heavenly Father have spoken to us in a better way? We beheld Him, the only begotten of the Father, whose repeated message was, “‘I and the Father are one’” (John 10:30, NIV).2 Jesus was an emissary of truth, tasting the final wages of sin in death. He went where He passed through the consequences of our sin. What greater revelation could we see than this? But in glory He arose from the tomb, leaving Lucifer’s scheme in shambles, and promised to return for those who honor Him. For Adventists, this promise is in the heart of our faith that must not be reduced to a liturgical dogma. God’s purpose for us is full restoration. Today, we look at the structure of Adventist education, its progress to a worldwide chain of institutions, but beyond that, a vision of God’s plan for education. Does such a plan exist? Beyond question, the answer is Yes. It reaches from the home and church to formal education, both as a practical preparation for life today and as the experience of spiritual growth that fulfills the church’s great commission. Where the educational world around us minimizes the idea of any divine involvement, we rise to challenge their idea and inculcate knowledge that reaches from eternity past to eternity to come. Can anyone imagine a plan more comprehensive? As educators, we occupy a cherished and profoundly influential place in life as well as the church. Here in classrooms and labs, people entrust their precious youth into our hands. What will we give them? A rehashed version of what is socially in vogue today, even if flavored with religious language here and there? Or will it present real leadership, demonstrating how God’s purposes can guide not only in our curricula but through our example as well? Our youth will proceed from our hands into an essentially God-free world and must be prepared to make wise decisions. God has entrusted them with free choice and us with influence. He has brought the two together, entrusting the young to the old. Will we be faithful in preparing our young people for life here and in eternity? We ask this question of ourselves, but God poses the same question and will require an accounting for our stewardship. Let us be found worthy of this enormous trust. A devotional presented at the 2016 LEAD Conference on “Educating for Eternity” held at the General Conference World Headquarters in Silver Spring, Maryland, October 5-7, 2016. 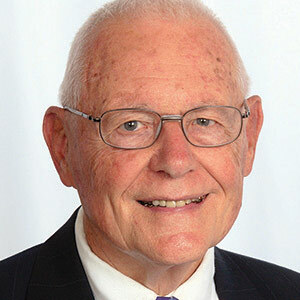 George W. Reid, ThD, served as Director of the Biblical Research Institute (BRI) at the General Conference of Seventh-day Adventists from 1984 to 2001. Among his many books are Seventh-day Adventists and Life Insurance and Another Look at Adventist Hermeneutics. “A Statement of Seventh-day Adventist Educational Philosophy” (2001): http://education.gc.adventist.org/documents/A%20Statement%20of%20Seventh-day%20Adventist%20Educational%20Philosophy%202001.doc.